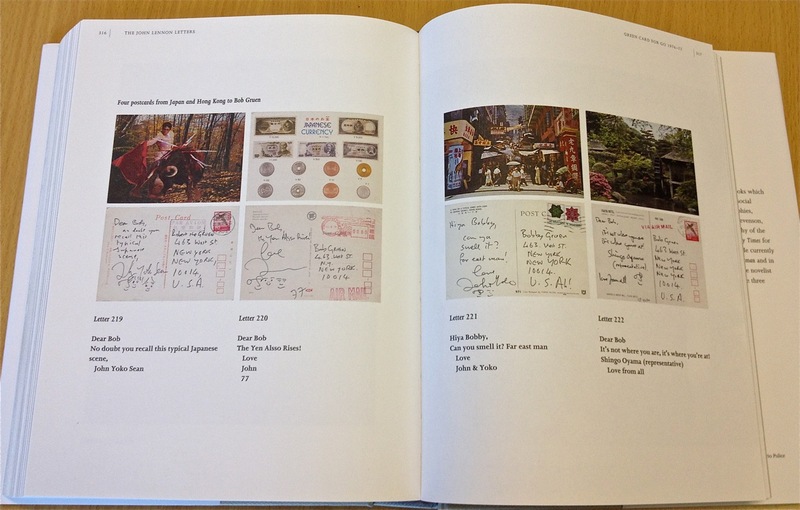 This book features almost 300 letters that were recovered by famed Beatles biographer Hunter Davies with the help of major auction houses in the UK and US. They include a page from the “Daily Howl,” a homemade newspaper John created when he was 12 or 13; a page from a homemade book John penned at age 11; letters to relatives including his mother, father, son, half-sister, cousins and aunts; to his first wife Cynthia (including his first ever written correspondence to her which was a homemade card celebrating their first Christmas together); early fan letters, countless items to friends, journalists, dignitaries, record executives, and of course to the other Beatles. 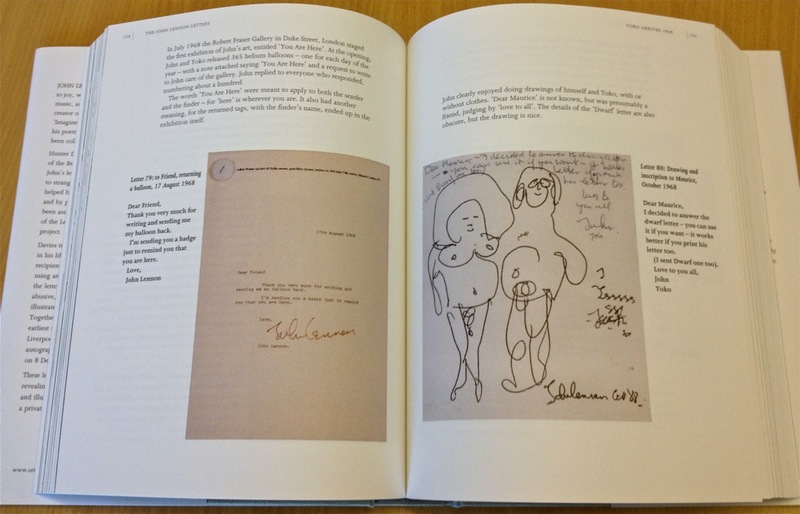 The book reveals Lennon’s emotional states – highs and lows – and much about his songwriting. It includes hand-written Beatles set-lists, drawings, lyrics to never-recorded songs, and even grocery lists from the later parts of his life. It is the first-ever compilation of John Lennon’s musings and paints a unique, intimate, and rather emotional portrait of one of music’s – and the world’s – most beloved and enigmatic figures. 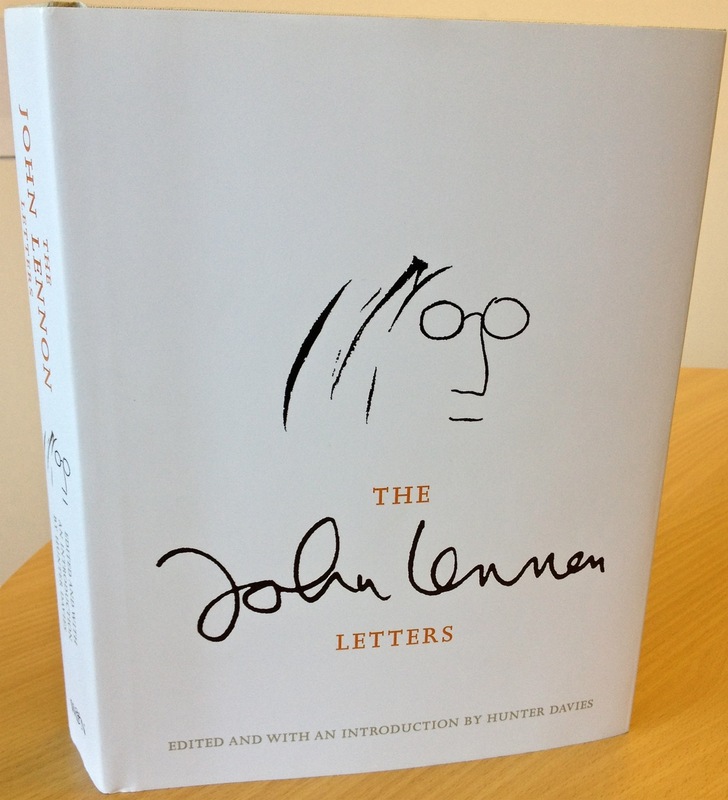 “The John Lennon Letters” is published by Little, Brown and Company. This entry was posted in Beatles, Beatles Books, Beatles Collecting, John Lennon and tagged Beatles, Beatles Books, Beatles Collecting, Hunter Davies, John Lennon, Lennon Letters by beatlesblogger. Bookmark the permalink.